In conjunction with Equipsupply we have just designed and installed a stunning counter for the ‘Dessert Lounge’ at the fashionable Entice venue in Cambridge. 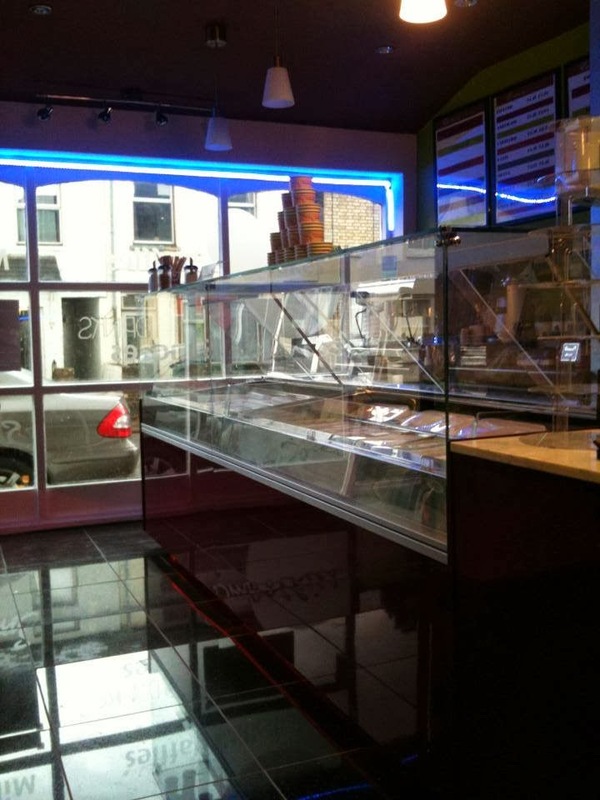 Valera installed a ‘Simply’ counter with straight glass which is used to display Entice’s breathtaking array of tropical ice creams and a ‘Vista’ unit which is home to a huge range of mouth-watering desserts. Incorporated within the run is a till support and all have been designed to match the venue’s stunning purple décor. The narrow entrances both back and front meant that the units had to be dismantled outside the site, carried in piece by piece and then re-installed in the correct position. Despite this Valera’s team of experts managed to complete the whole job in a single day! 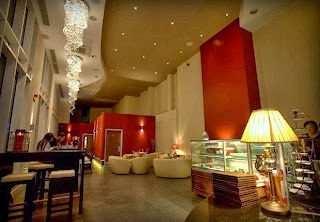 Entice is a brand new dessert lounge that offers a fun and friendly atmosphere in a bright, modern surrounding. It offers a variety of delicious great-tasting treats from a menu of favourites including mouth-watering sundaes, freshly made crepes and waffles, yummy milkshakes, fruit smoothies and a selection of fresh cakes. It’s the perfect place to go for one of twenty-three luxury handmade ice-creams, a best-selling "funky fun bubblegum" sundae, praline & amaretto cheesecake, or simply a tasty chocolate bar milkshake. Valera has recently completed another installation at Gym’s Kitchen. After installing a stunning black and gold counter when the UK’s first protein-based restaurant opened its inaugural shop in Leyton earlier this year Valera has followed this up by providing a ‘Simply’ square glass ice cream counter and salad display as part of the counter run at the newly opened Gym’s Kitchen site in Gants Hill which opened in a blaze of glory with a launch party that included celebrities from the world of sport, members of the TV programme TOWIE, as well as plenty of gym fanatics from the surrounding area. To remedy the lack of clean and fast food available the Gym’s Kitchen menu is packed with mouth-watering morsels designed by top nutritionists, and is notable for its absence of burgers, fries and any fried foods. The restaurant, in Cranbrook Road, is expected to attract the same high-profile customers spotted enjoying a healthy meal in Leyton over the past 12 months including Tottenham’s Kyle Walker and boxer Amir Khan. Sugar Mill Desserts represents a new breed of dessert led restaurant and boutique lounge in London. Located just yards away from Wembley Stadium and Arena, Sugar Mill is an oasis of indulgence – offering a touch of the familiar infused with its signature decadence. Sugar Mill offers a unique range of a la carte desserts, delicious food and a wide selection of carefully selected wines in a new tantalising way! 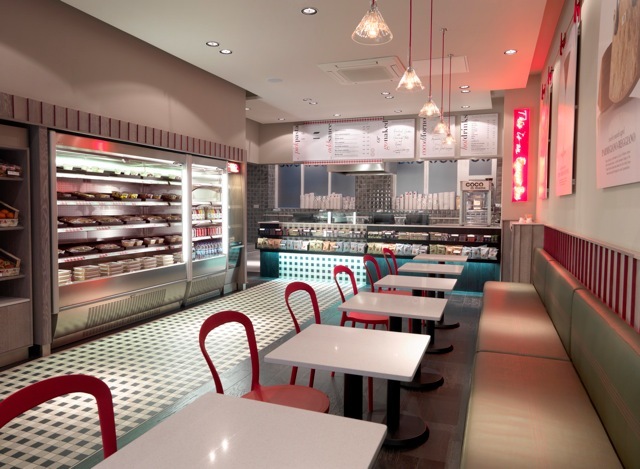 The fact that Sugar Mill is able to show off an array of tempting products is due in no small measure to Valera and distributor Chillerbox who joined forces to install, amongst other things, a Valera ‘Tradition’ patisserie counter as part of an overall project worth in excess of £40k. Installed by Valera the counter provides a stunning retro style display for a selection of Sugar Mill’s mouthwatering desserts. 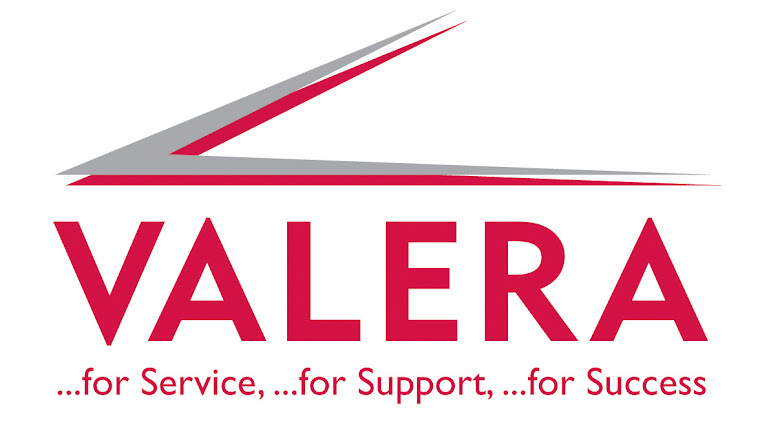 Working to strict delivery times in a restricted area the pressure was on Valera and Chillerbox but through a combination of flexible working hours and a ‘can do’ attitude they were able to make sure that the customer remained ‘sweet’! 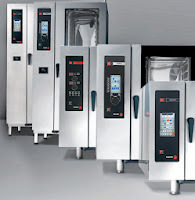 Valera’s Fagor Advance Concept combi steam ovens are perfectly suited to the professional caterer looking for simple, yet powerful and robust ovens at an affordable price. The gas and electric models in the Advance Concept range promise speed and flexibility, with convection, steam, combi and regeneration functions on hand, combined with maximum power and strength. Easy to use, the ovens have digital push button controls with two scroll buttons, a preheating option and a cold-down chamber cooling system, humidifier and EZ temperature sensor. Selected models also have a quick door-closing feature. Two speeds and two power ranges are complemented by a special technical support system that makes it possible to check all parts without having to dismantle any exterior panels for service and maintenance purposes. 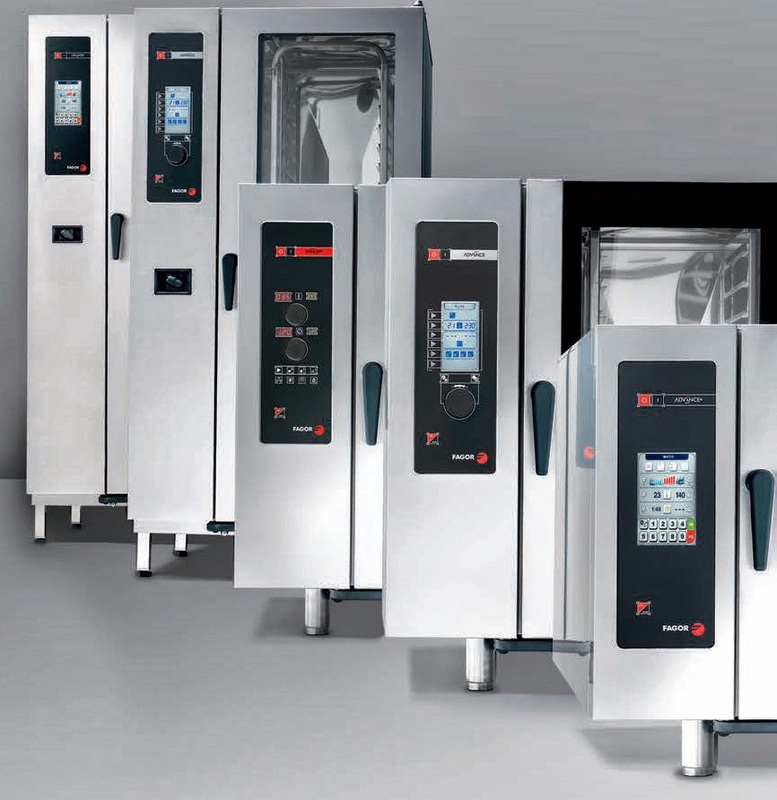 Whether preparing signature dishes from scratch or regenerating plated meals in bulk, the Advance Concept combi steam ovens can rise to the challenge, promising years of trouble free service with low running costs. With seven models in the range there is something to suit all operations, from the smallest ACE-061 model which holds six full-size Gastronorm pans up to the ACE-202 model which can accommodate up to 20 pans. 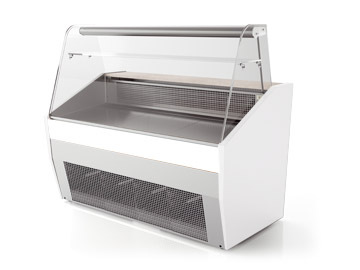 The Valera Pronto Slimline serve-over counter is only 800mm deep, meaning the compact yet capacious deli unit can fit easily through most standard doorways. The stainless steel, wipe clean deck of the slimline unit is complemented with an ambient glass shelf over the rear providing extra display space, while the entire module is topped with a glass hood, available in either a totally flat or curved design, depending on the model. A digital controller makes it easy to adjust and monitor the operating temperature. A specially designed grill provides plenty of ventilation at the front of the cabinet, allowing the unit to be built into a run or placed next to other furniture. A choice of width is also offered, ranging from 980mm to 2480mm, all with the space-saving 800mm depth. As an added extra, caterers can opt for a coloured front panel instead of the standard white, choosing from orange, burgundy, green, blue or grey to match existing decor. Castors can also be added for easy movement, plus sliding doors, a stainless steel stepped deck, product dividers and a cash till support case. 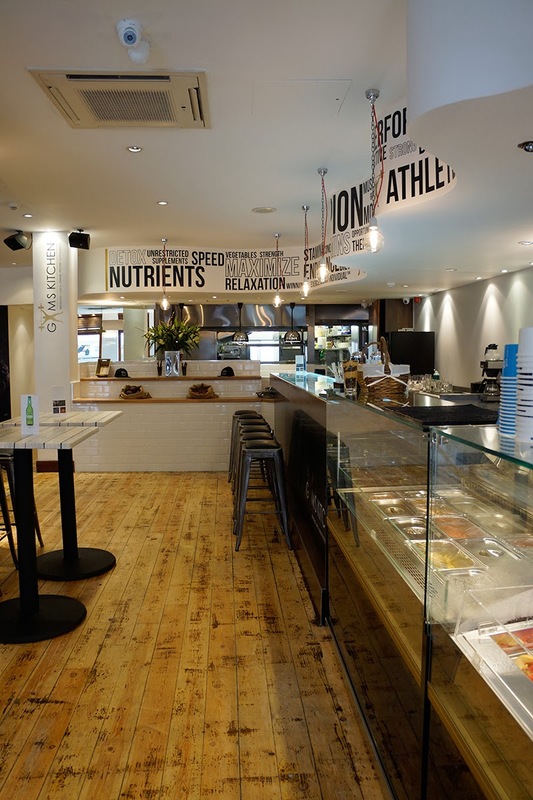 We are delighted to have been involved in supplying a wide range of equipment at the latest venue to be opened by one of the UK’s brightest new food businesses, Coco Di Mama, at Fleet Street, right in the centre of London’s financial heartland. The 28-year-old co-founders of Coco Di Mama, Daniel Land and Jeremy Sanders, come from a corporate background themselves, so they know their audience – but key to their success is their focus on authenticity, outstanding service and attention to detail. Prior to launch, they spent a year driving up and down Italy, sourcing the best products, suppliers and recipes – ensuring that back on Fleet Street every customer enjoys a unique, unforgettable lunch and one of the most authentic Italian coffees in town. In conjunction with www.equipsupply.co.uk Valera has provided a selection of its own refrigeration alongside some really eye-catching Jordao multideck display units, complete with stunning mirrored end walls, to ensure that the food on offer looks as good as it tastes. And there’s no stopping the Coco Di Mama brand with plans for a fifth site, again featuring Valera equipment, already well advanced. 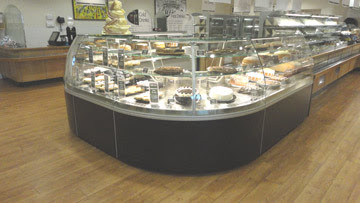 Avid TV viewers will be familiar with the Boundary Mill store in Colne and the eagle eyed amongst them may well have spotted the spectacular ‘U’ shaped patisserie display unit from Valera’s ‘Simply’ range which was installed as part of a project carried out by Kitchequip. Kitchequip designed, project managed and installed this beautiful display unit early in 2013 and it was specifically designed to be suited up to existing counters as a new continuation, giving a striking appearance and maximum visual display for the wide range of cakes, patisserie and Viennoiserie on offer to Boundary Mill’s customers. The flexibility offered by the ‘Simply’ range and the fact that it could be seamlessly joined to the existing counters played a key part in the decision to select it. Boundary Mill are an exacting client and Kitchequip delivered all that was expected. Plans are underway for similar projects in other Boundary Mill stores throughout the UK.